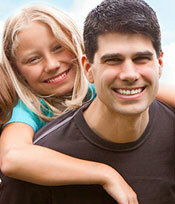 We want you, and every member of your family, to have the care you need for a lifetime of oral health. We start with our commitment to preventative care, and follow up with services for restoration, cosmetic improvement, orthodontics, root canals, and more. Take a look through what we can offer you. No matter what the dental problem, Urban Centre Dental Clinic has the solution! We offer emergency care to all patients, even those who are new to our practice. Dental restorations such as fillings, inlays, onlays, crowns, and bridges are available at Urban Centre Dental Clinic in Fort Saskatchewan. Cosmetic dentistry options such as veneers, bonding, and CEREC provide repair and improvement to smiles in need of help. Whitening procedures give great results for teeth stained or darkened, and can be completed in as little as an hour. Permanent dental implants are the most advanced form of tooth replacement, for both natural looking and feeling artificial teeth. 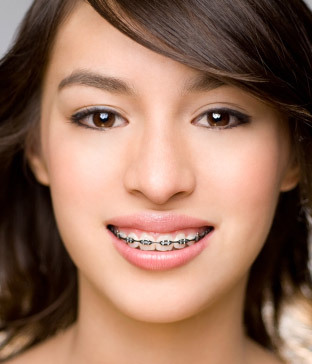 Traditional metal braces help patients with crooked or misaligned teeth as well as cosmetic problems, leaving a beautiful result. Urban Centre Dental is a dedicated family dentistry practice, serving the Fort Saskatchewan community since 1985 and committed to your family’s long-term oral health. Periodontal procedures fight against the advancement of gum disease with methods to heal and prevent further issues for dental patients. Endodontics, the practice of treating the tooth's interior pulp, helps to preserve affected teeth long-term. Sedation dentistry options like IV sedation and nitrous oxide provide pain and anxiety relief for nervous patients. Oral hygiene and cleaning, the cornerstones of preventative dentistry, are emphasized along with other procedures to aid in long-term oral health. 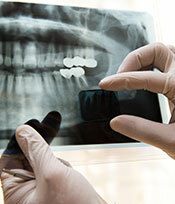 When wisdom teeth become impacted, we perform safe and effective extractions. Tooth grinding and contact injuries can be prevented from causing damage by use of custom-fitted mouth guards and bite appliances. Botox and Xeomin are used by dental professionals for both clinical treatments of TMJ and wrinkle-relief, in an exciting expansion of existing services. 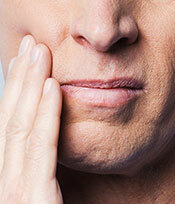 TMJ disorder, causing issues with the jaw joint, can be alleviated by dental treatment plans. Give us a call or drop by today! We are always happy to see you.